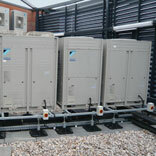 We supply the BigFoot range of Roof Supports and ancillary equipment to the HVAC & R industry. BigFoot Systems are designed to support all Air Conditioning and Refrigeration roof plant and associated services to create a Safe and Secure support solution, without the need to penetrate the Roof Surface. No penetration of the roof waterproof membrane. Maintains roof integrity and manufacturer’s warranty. Complete on-site flexibility both during and after installation. Eliminates the need for difficult flashing, reducing the risk of leaks. Spreads the weight of supported plant. Eliminates on-site welding and grinding, being OHS&W friendly. Flatpack systems available for easy transport to site. Hot dip galvanized metalwork which will not rust. Enables roof maintenance without decommissioning the load. 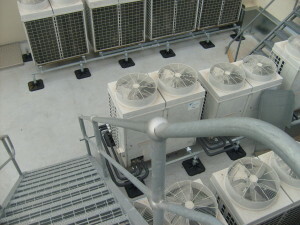 The success of ‘HVAC Supports’ has proved the ‘BIGFOOT’ range of products is the premier support system for plant and machinery on rooftops and in plant rooms throughout Australia. We are widely regarded as the way forward within the industry, by being the ONLY Company in Australia to provide genuine Point Loading and Strength Test Certification and Guarantees, with Professional CAD drawings to show you how the supports will look. BigFoot Systems have been tried and tested in the UK for the past 20 years, and is now the industry standard in most European countries. There are no lengthy delays for shipping from our UK Suppliers, we have brochure stock here in Australia, waiting and ready to go…. Our Mission is to simplify, modernise and so revolutionise the method of supporting building services on rooftops, in a safe and easy, convenient, cost effective and portable fashion. The HVAC Roof Supports team.